This industrial container washing machine is specially designed to clean 200 and 300 litre “Eurobins”. 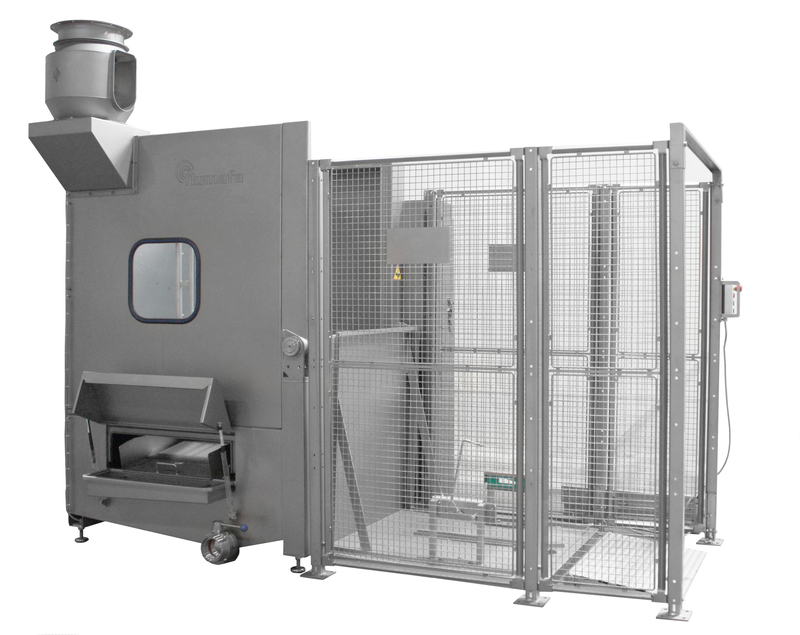 In this container washer, containers can easily be positioned from floor level onto the electrically operated 180° tilt door, on which the product has to be manually fixed by means of an adjustable product guide. The containers are internally and externally cleaned by nozzles on a motorized rotating spraying frame. Do you want to talk about the CWM 200? You want more information about CWM 200?